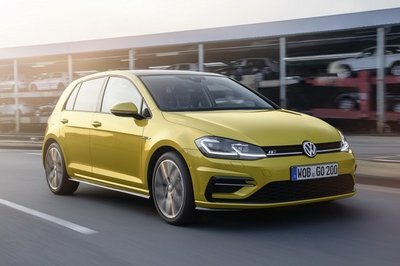 The Golf R has been quoted as "the strongest Golf produced," but that doesn’t seem to be enough for Volkswagen as they have decided to match that strength up with some aesthetic upgrades as part of their Volkswagen Study Golf R. This study has given way to four special versions of the Golf R which were just unveiled at the 2011 Geneva Motor Show. 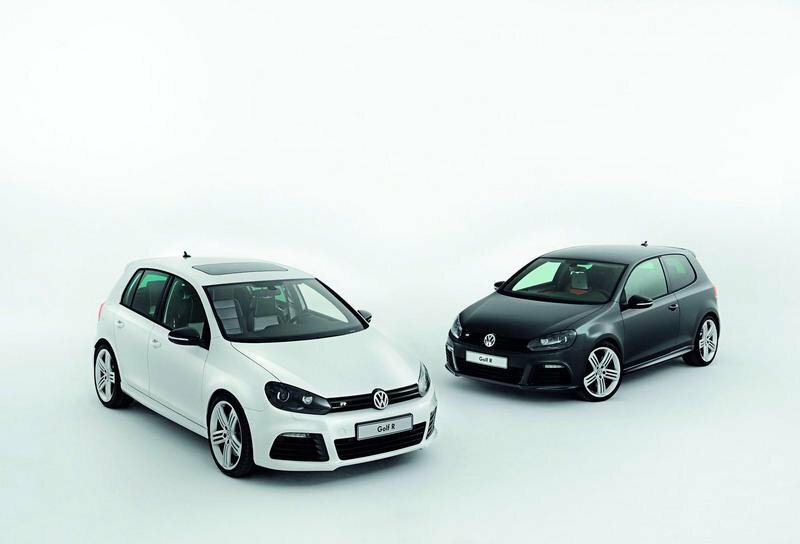 "Based on the high demand and success of the Golf R, we decided to develop four high-end versions of this vehicle," says Ulrich Richter, Managing Director of Volkswagen R GmbH. 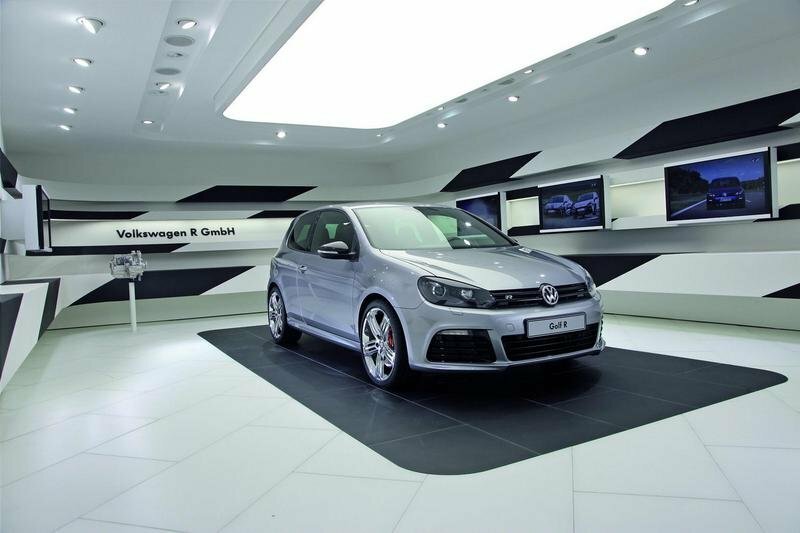 The four Golf R models come painted in "Oryx White," "Carbon Steel Grey," "Space Grey," and "Aplomb Blue" combined with high-end Nappa leather interiors and 19-inch wheels. If anyone is anticipating a power boost with this stylish makeover, don’t hold your breath. 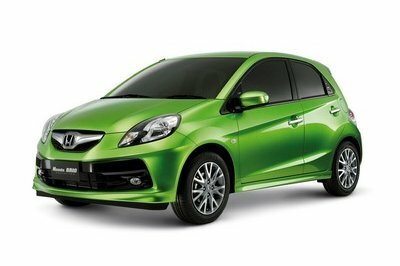 These four little hatchbacks are coming at us with zero modifications under the hood. Hey, they are already the strongest Golf model; what more do you want? 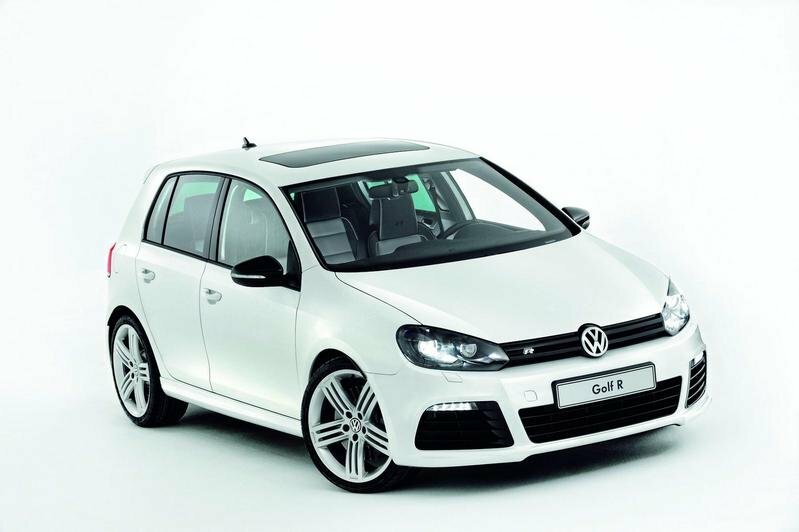 Hit the jump to read more about the Volkswagen Study Golf R.
The first version of the Volkswagen Study is called "Oryx White" and features a pearl-effect exterior paint and 19-inch Talladega wheels. The interior is jazzed up with an upgraded seat system inspired by the Volkswagen R’s Exclusive program. The center panels of the front sport seats, the rear bench seat, and the door inserts are covered in "St. Tropez" Nappa leather, while the lateral seat supports and the seat back are covered in perforated leather. 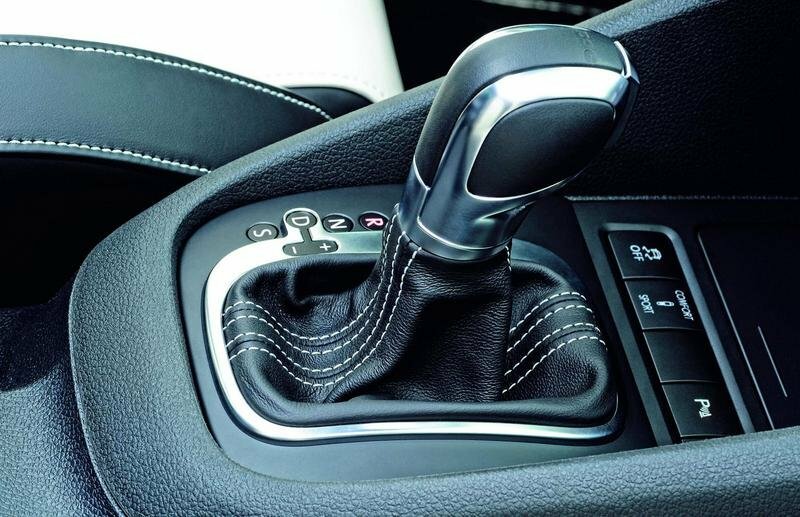 The "St. Tropez" color of the seats is also transferred to the door inserts, shift lever, the parking brake lever boots, and the borders of the black floor mats. There are also brushed aluminum trim inserts for the interior and R logos on the passenger’s side. 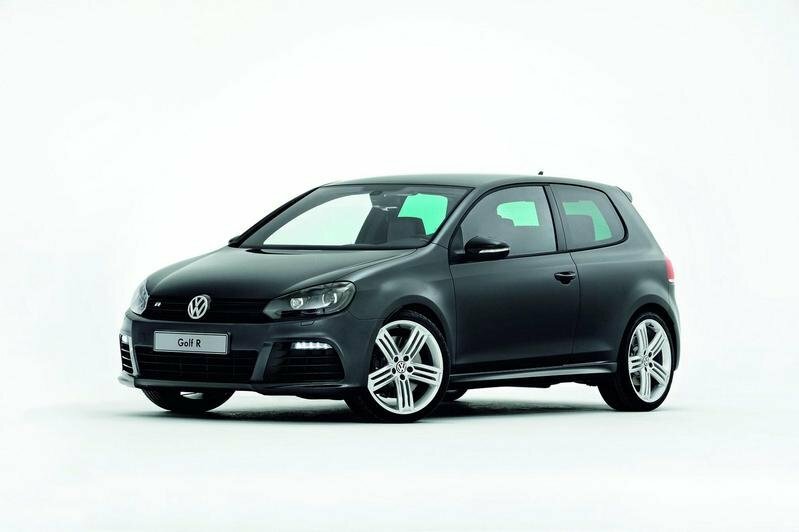 The second Golf Study model is painted in an exclusive exterior "Carbon Steel Grey" color. The difference between this model and this previous one is a dark "Almandine Red" color that replaces the "St. Tropez" color. The third Golf Study version comes with a "Space Grey" (mid-tone grey) color, polished 19-inch "Talladega" alloy wheels, orange brake calipers, and carbon mirror caps. The interior gets shell seats upholstered in black Nappa leather with the seating surfaces consisting of anthracite-colored Nappa leather ("Light Anthracite"). The cross-stitched center panels of the seats and seatbacks are an even lighter gray (Nappa leather in "Pure Grey"). Finally, the fourth version is painted in the high-end "Aplomb Blue" and is distinguished by 19-inch "Glendale" wheels painted in "Brilliant Silver" and carbon fiber door mirror caps and door sill plates. Various interior accents have also been decked out in carbin fiber. The crest of the seats are covered in blue leather, while the leather-trimmed sport steering wheel has inner segments and hand grips consisting of what is referred to as carbon leather. This study was done solely for aesthetic purposes so no modifications were made for the engine setup. 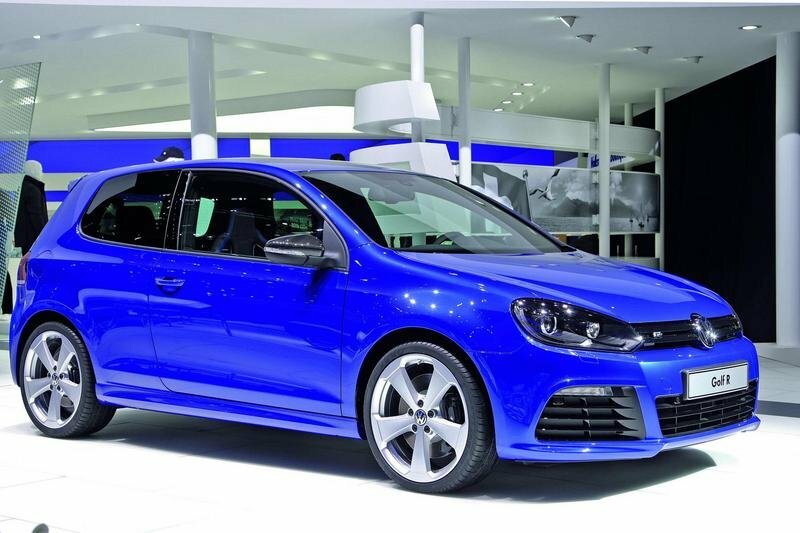 The Golf R is powered by a 2.0 Liter turbocharged four cylinder engine that delivers 270 HP at 6,000 RPM. With this amount of power the sprint from 0 to 60 mph is made in 6.5 seconds while top speed is limited to 155 mph. The Volkswagen Study Golf R is just that; a study. Volkswagen hasn’t said a word about a production version, but we imagine that any feedback VW receives on these study models will be used in future version of the hatchback. The most impressive competitor for the Golf R is the Subaru Impreza WRX STI, but on the European market, the Focus RS is also a big threat. The WRX STI is powered by a 2.5-liter DOHC Intercooled, turbocharged aluminum-alloy 16-valve 4-cylinder horizontally opposed SUBARU BOXER engine that delivers 305 HP and is mated to a 6-speed manual transmission. The Focus RS is powered by a 2.5L 20 V DOHC RS engine that delivers 300 hp at 6500 and a peak torque of 440 NM (325 lb-ft.). The engine is mated to a specially-developed, six-speed transmission and sprints from 0 to 60 mph in 5.9 seconds, while top speed is 163 mph. Both competitors serve up more power than the Golf R, but the WRX STI has our vote for its sportier style. I love this Golf R for the fact that it is so reliable on the road and very practical to use in my everyday transportation, well I would love to have a car like this. Too bad that they haven’t upgrade the performance of the car up to a much higher figure performance. BTW, the styling of the car was great especially on its center console. Nice! I was impressed with the decent styling of this vehicle. The interior was great and I think they have a luxurious design for that one. Aside from that the speed performance is quite amazing as well. Well, since they have already done this study, talks of a likely Golf successor probably wouldn’t be far behind. In fact, I think that this one is long overdue already. 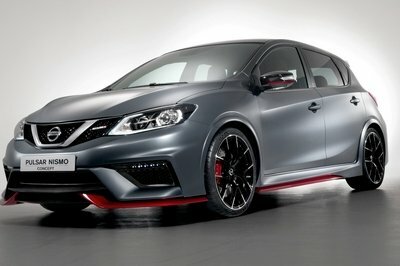 This car is sustaining a huge aspect of an engine with amazing output capacity. Is actually possessing good appealing qualities. Well, though it was held to be the strongest Golf produced I still don’t get the connection of enhancing the exterior instead of the engine. 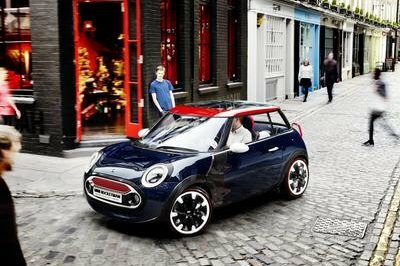 For sure that this one wouldn’t be just another concept car. 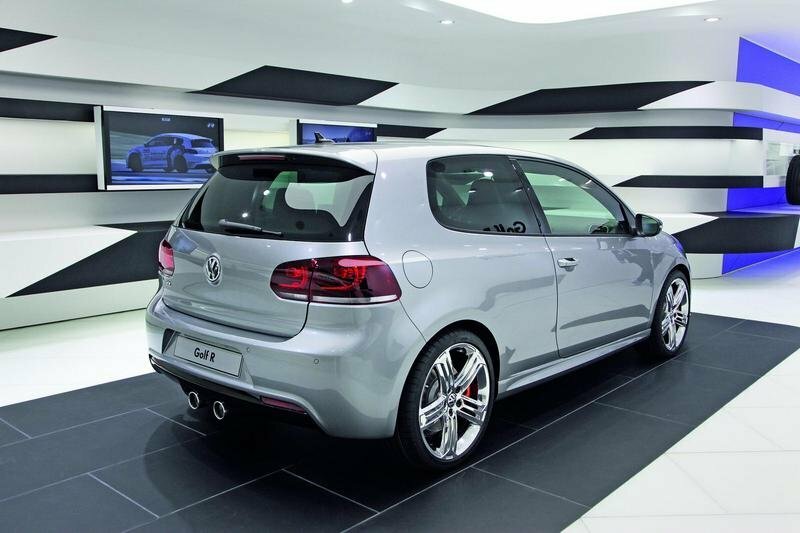 The recent model of VW Golf is a bit successful on the Us market because it comes up with the cheap price. Hope this concept would makes it way on the production.. In terms of aesthetic design, this one is actually worth all the effort that they have put into it. Sure hope that Volkswagen does implement the elements that they got here. This one is really a good study for the Golf. They really made a good amount of improvements over the current Golf design. 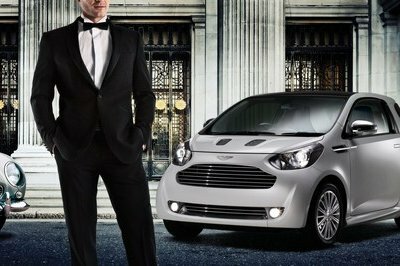 Now if they would only put this into production. I also hope that this one actually makes it into the production lines. It really has a lot of nice upgrades that would improve on the current Golf line.